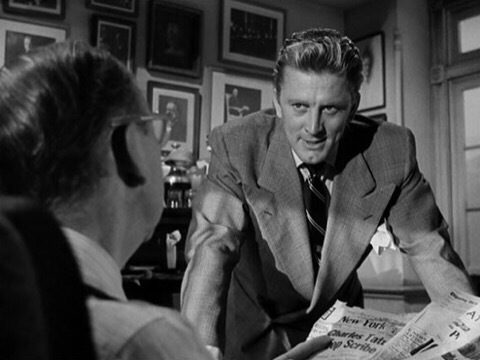 Ace in the Hole (aka The Big Carnival) is a 1951 American film noir starring Kirk Douglas as a cynical, disgraced reporter who stops at nothing to try to regain a job on a major newspaper. I’ve now seen more Billy Wilder films than I realized. He has an impressive resume (CV to the British)! Let’s see what I’ve seen… The Apartment (my favorite), Witness For The Prosecution, Sunset Boulevard, Double Idemnity, and Some Like It Hot (I just watched this over the weekend & thoroughly enjoyed it). 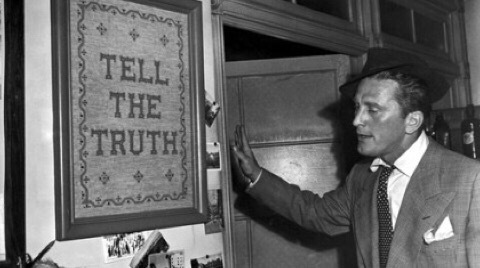 So I really liked the sound of Ace In The Hole and was happy to watch it as I’ve been impressed with Wilder’s cleverly written & entertaining films so far. I’d say that this movie certainly has his fantastic writing style and its themes make it feel far ahead of its time and just as relevant nowadays (maybe even more so now). But I can see why it’s not as well known as the others I’ve just listed. No, I lie – I can’t explain why it’s not as good as the others. It’s just not as memorable. The writing is just as clever but, compared to those others, it’s lacking the truly iconic imagery & quotable lines that I instantly think of from all of Wilder’s other movies. It’s a good story, however. It’s very dark and shows the lengths the media will go to in order to sell newspapers. The medium may be different nowadays but things haven’t changed at all. I suppose the only difference is that nowadays we have people happily willing to exploit themselves thanks to the Internet. 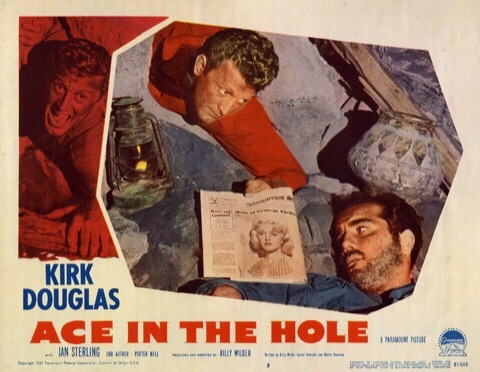 In Ace In The Hole, Kirk Douglas plays a shady reporter who happens upon a story involving a man who has become trapped in a collapsed cave. 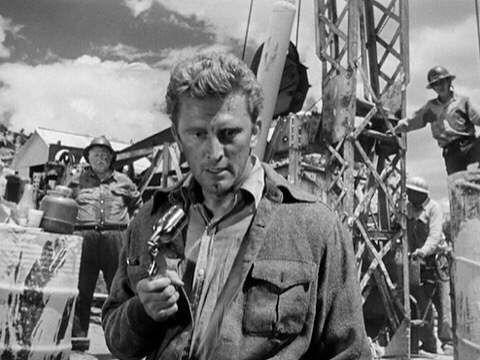 In order to prolong the story, Douglas helps convince those involved in the rescue effort to use a method that will take much longer to free the man. 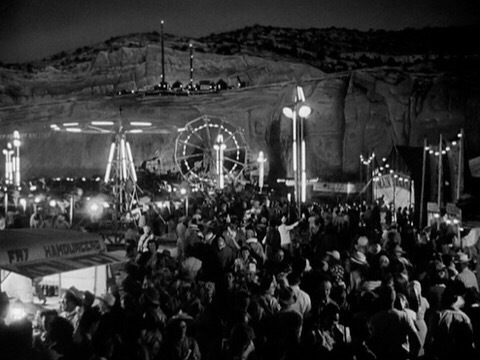 I won’t say much beyond that to avoid spoilers but the whole thing becomes a big story and lots of people travel to the site of this cave-in, which becomes a big spectacle (the movie was also known as The Big Carnival as they literally turn the place into a carnival while the man remains trapped). 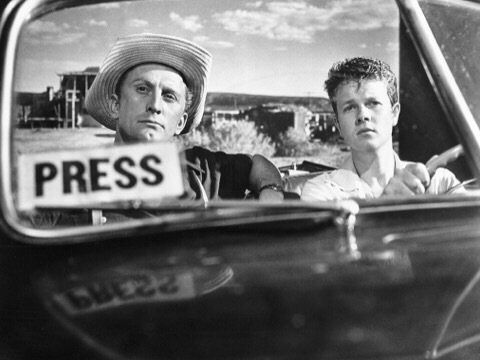 Overall, Ace In The Hole isn’t Wilder’s best film but it’s worth watching if you’re a fan of his work. It’s much darker & more cynical than a lot of his other films, which seems to be a big reason why the film wasn’t that well received at the time. I liked it as I always enjoy films that show humanity in its worst (true) light. Douglas does well as the cocky reporter and I think he took his shirt off at least once if I remember correctly (seriously – that guy is always half naked in his movies. What’s up with that??). It probably deserves a slightly higher rating and it’s a well written film but it’s a bit disappointing compared to Wilder’s most famous movies. Aside from Sunset Boulevard, this was probably Wilder at his most cynical and it had to follow the aforementioned classic so maybe that is why it tends to struggle to be seen with the same affection as the other films from his celebrated “golden period”. I’m pretty sure I’ve seen this one but don’t remember much about it. Did you ever watch The Villain? It was hilarious. To me, if I wrote out my Top 100 movies in alphabetical order, this would b th 1st entry. Hmm. Let’s see… About Time was quite good (and before this one alphabetically). 😉 lol – Kirk does seem to die in movies a lot. He’s the Sean Bean of classic films! Haven’t heard of that one before!